Proverbs 27:17 "As iron sharpens iron, so one man sharpens another." You may purchase any items we have for sale by going through our shopping cart and using your credit card or PayPal account to pay through the secure PayPal server. If you prefer, you may call us with your order at 719-475-8553. You may choose from the categories below or search through the pages alphabetically. FREE shipping on all products except the KnifeMaster Pro Sharpening System which is $10.95 for all U.S. shipments. Call or email for prices on international shipping. Thank you for your business! 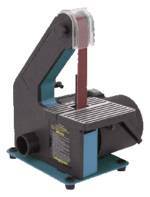 The KnifeMaster Pro Sharpening System comes complete with a 1/3 horsepower, 3,400 RPM, 1" x 30" sander, 80, 600, 800, & 1,000 grit belts, leather stropping belt, stropping compound, diamond serration file, safety glasses, and online instructional videos. This pocket diamond sharpener is one of the handiest tools around. The 4 5/8" closed sharpener with pocket clip is easy to carry in your shirt or pack. The diamond sharpening rod is 3 1/8" long. This is a great inexpensive way to sharpen serrated knives, pocket knives, hunting knives,fillet knives, fish hooks, scissors, axes and more. Price includes applicable tax and shipping. Sterling Compact Knife Sharpener. Digital Camo finish lightweight aluminum body with lanyard hole. Measures 3". Features tungsten carbide V sharpening insert. Easy to use. Weighs only .5 ounce. Made in the USA. Price includes applicable tax and shipping.